The Veterans of Foreign Wars (VFW) celebrates years of tradition, community service and veterans’ service. In 1899, the American Veterans of Foreign Service (Columbus, Ohio) and the National Society of the Army of the Philippines (Denver, Colorado) were organized independent of each other to secure rights and benefits for veterans of the Spanish American War (1898) and the Philippines War (1899-1902). The Veterans of Foreign Wars of the United States came into existence when these two organizations; sharing similar ideals and requirements for membership, merged in 1914. The VFW was chartered by Congress in 1936 and continues its rich tradition in enhancing the lives of millions through its community service programs and special projects. 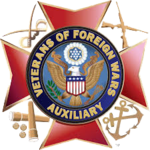 The VFW, with its Auxiliaries, includes 2.6 million members in approximately 9,000 Posts worldwide. Our accomplishments are many, including lobbying for a GI bill for the 20th century; donating more than $1 million each to the Vietnam, Korean, Women in the Service and World War II memorials; fighting for compensation to veterans diagnosed with Gulf War Syndrome; and improving VA medical centers services for women veterans. Annually, VFW members and its Ladies Auxiliary contribute more than 13 million hours of volunteerism in the community, including participation in Make a Difference Day and National Volunteer Week.